I was too young for the first wave of “Christian rock,” which dates back to the late-’60s and flourished in the ’70s and early-’80s with artists and bands such as Keith Green (left, looking a lot like Jesus), Larry Norman, Randy Stonehill, Phil Keaggy, and Daniel Amos (a band). But I still love these guys. They were genuinely counter-cultural—and first-rate musicians. As hard as it is to imagine now, there was a time when Christian singer-songwriters were strictly underground, performing to what they perceived to be a secular audience, tackling topical issues of their day without following any conceivable party line (anti-abortion and anti-nukes) and inviting others to join them in their journey of Christian faith. Of course, secular audiences weren’t hearing them: In order to find their records you had to venture into kitschy Christian bookstores—an intimidating prospect for even the world-weary Christians among us. Sadly, much of their labor is lost to history. Even Christians pre-disposed to liking contemporary Christian music today will never hear this stuff unless they seek it out. 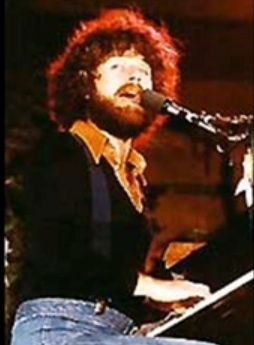 I notice on Amazon that you can still get Keith Green’s excellent Ministry Years 1977-1979 compilation, which I highly recommend. Here’s a link to one of its songs, “You Put This Love in My Heart.” I think you’ll agree the music has aged well. Yes, it sounds dated, but only inasmuch as classic ’70s Elton John sounds dated. That was a good era for pop singer-songwriters, of whom Green would be a shining example if he hadn’t had a dramatic conversion experience that inspired him to perform only religious songs. Most of the stuff is out of print, but there’s always eBay. Seek out Phil Keaggy’s What a Day and Love Broke Thru, Daniel Amos’s Horrendous Disc and Vox Humana, Larry Norman’s Only Visiting this Planet (produced with the assistance of Beatles producer George Martin), Leslie Phillips’s Recollection, and the 77’s Ping Pong Over the Abyss and (the incomparable) All Fall Down. Here are a couple of books that I found very helpful as I reflected on the recent earthquake in Haiti. One, David Bentley Hart’s The Doors of the Sea, was written just after the Indian Ocean tsunami of 2004. It is short (109 pages), polemical, and deep. Hart is not someone you’d want to face in a debate. He elaborates on an op-ed he wrote shortly after the tsunami in the Wall Street Journal. Hart, an Eastern Orthodox theologian, is deeply critical of the extreme sovereignty position of hard-line Calvinism, which says that there is no difference between what God wills and what God allows. Everything that happens, Calvin argued and some Calvinists still believe, is God’s will—a position that strikes me as deeply unbiblical, not to mention just plain weird. Last month, after tens of thousands of people died in the massive Haiti earthquake, Rev. Pat Robertson drew very unfavorable attention of the world when he said that this natural disaster was the result of a deal that the people of Haiti made with the devil in order to end their enslavement to the French 200 years ago. They were reaping what they sowed, in other words. Stanley Fish, writing in yesterday’s New York Times, draws attention to a book that makes the same point about our secular and pluralistic culture. We only agree on concepts like “freedom” and “liberty” because we’ve imported them from religion (and Christianity in particular). Strip away the religion and there’s nothing there. The idea that we can set public policy without resorting to the religious realm is ridiculous. The only reason our country has gotten along as well as it has thus far, under the guise of strictly “secular” decision-making, is that the vast majority of its population buys into Christian ethics, whether it has known it was doing so or not. This Sunday, February 21, we will begin a two-part sermon series entitled, “Does God Love Haiti?” We will deal with difficult questions we ask about God, the world, and humanity in the wake of tragedies such as the earthquake in Haiti last month. Our central text this Sunday will be Luke 13:1-5. Come with your questions. Everyone is welcome! Click here to download .mp3 or press the play button below. The following is my original manuscript. When the sermon was finished, I transitioned into the liturgy for the reaffirmation of our baptismal covenant. Later in the service we’re going to have a special liturgy from our United Methodist and Christian tradition known as the reaffirmation of our baptismal covenant. I’ll say more about that later. To help us prepare for it, I want us to think about what baptisms meant for people living in the first few centuries after Jesus’ resurrection and the birth of the Church—before Christianity became the official religion of the empire. During this time period, Christianity was a minority religion, and a persecuted religion. Becoming a Christian was risky, and it meant actively rejecting the pagan gods that a person grew up with—the gods of their parents, grandparents, and ancestors. I confess that I strongly believe he or it is. If you’ve been to Vinebranch these past couple weeks, you know that I’ve laid bare this conviction. 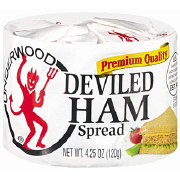 We Methodist ministers don’t talk about the devil very much. Maybe for good reason: the Bible doesn’t say much on the subject. Mostly, its writers just assume his or its existence without much elaboration. However the devil or demonic forces manifest themselves—and to what extent they can be said to be “personal” as we understand the term—they don’t cause sin. We are fully responsible for that. And I strongly reject nearly all popular culture depictions of the devil (although I think the little Underwood guy is cute). … It is not simply that God has arbitrarily made us such that He is our only good. Rather God is the only good of all creatures: and by necessity, each must find its good in that kind and degree of the fruition of God which is proper to its nature… George MacDonald… represents God as saying to men, ‘You must be strong with my strength and blessed with my blessedness, for I have no other to give you.‘ That is the conclusion of the whole matter. God gives what He has, not what He has not: He gives the happiness that there is, not the happiness that is not. To be God—to be like God and to share His goodness in creaturely response—to be miserable—these are the only three alternatives. If we will not learn to eat the only food that the universe grows—the only food that any possible universe ever can grow—then we must starve eternally. Good stuff! This passage demonstrates that Lewis loves the em-dash more than I do, if that were possible! It also reminds me of St. Augustine, who said that we “love God with God.” From Augustine’s perspective, we love God most fully when we become like empty vessels through which the Holy Spirit returns the love God gives us as a gift back to God. We only love, in general, with the love God gives us; there is no other, lesser kind. Whatever is good is from God; there is no good apart from God. That we experience goodness and love imperfectly in this world, and to wildly varying degrees, is a measure of sin and evil. Here are two good books that I read in preparation for our Lord’s Prayer sermon series: The Lord & His Prayer by N.T. Wright and Lord, Teach Us: The Lord’s Prayer and the Christian Life by Willimon and Hauerwas. They’re short and relatively easy to read (i.e., written for a non-academic audience). 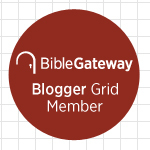 If you’re interested in learning more about the prayer Jesus taught us, you might like them, too.